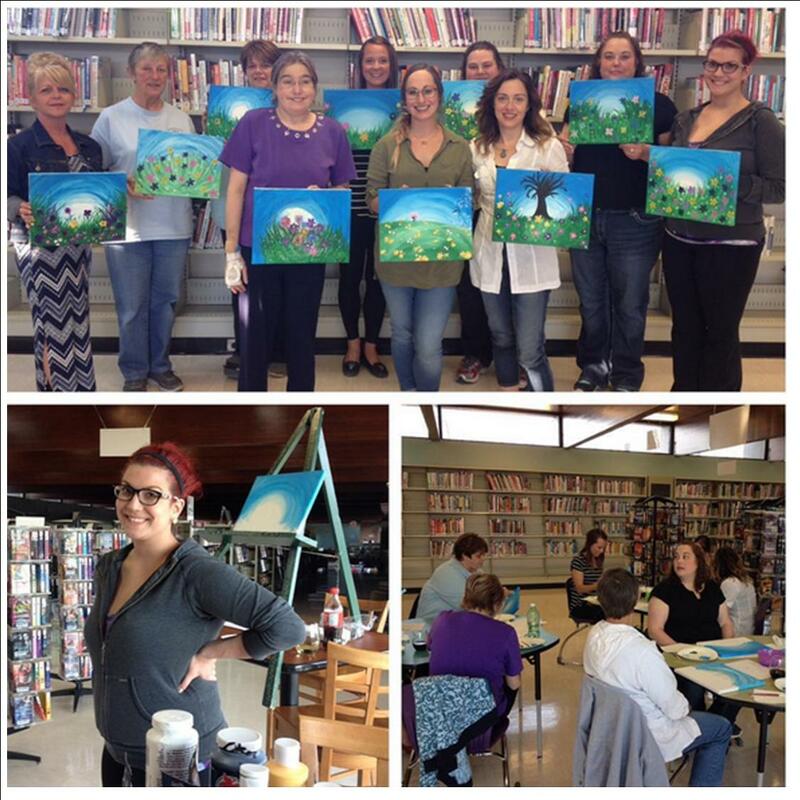 In May 2016, we ran a Wine & Paint Night at the Library, we invited a local artist (Bronte Hendren) to host a Wine & Paint on a Friday night when the Library was closed. She instructed 10 women how to paint a garden scene and each woman had a glass of wine while they painted. We obtained a One-Time Liquor License for the Library and charged each participant $40 for registration to cover supplies. Wine & Paints have become very popular and we were looking for new ways to present adult programming. They asked if we would do it again. The evening went well and we budgeting time well, and all of the ladies had a lot of fun! I would invest in little easels for the tables, it would have made the painting easier.